Tennessee is a U.S. state located in the Southeastern United States. 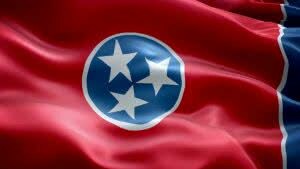 Tennessee is the 36th most extensive and the 17th most populous of the 50 United States. Tennessee is bordered by Kentucky and Virginia to the north, North Carolina to the east, Georgia, Alabama, and Mississippi to the south, and Arkansas and Missouri to the west. The Appalachian Mountains dominate the eastern part of the state, and the Mississippi River forms the state’s western border. Tennessee’s capital and second largest city is Nashville, which has a population of 626,144. Memphis is the state’s largest city, with a population of 670,902. Tennessee’s major industries include textiles and agriculture. Name of Tennessee corporation must be distinguishable from the name of any existing entity or other names reserved or registered with the Division of Business Services. Company Express will research your company name to make sure it meets Tennessee’s standards. Required documents: Articles of Incorporation filed with the Department of State. If the corporation’s principal office is in Tennessee, a copy of the Charter must be filed with that county’s government. If the principal office is not in Tennessee, no county filing is required. Minimum number: Corporations must have one or more directors as well as a president and a secretary. Appearance in articles: Director names and addresses are required to be listed in the Charter. Corporation’s principal office may be located outside of the state, but local registered agent is required in Tennessee. Time to file: Tennessee requires corporations to file both an annual report and franchise tax. The annual report is due on or before the first day of the fourth month following the close of the corporation’s fiscal year. The state filing fee is $20. The franchise tax is due the 15th day of the fourth month following the close of your books and records. The amount due is based on the corporation’s net worth or real and tangible property in Tennessee. The minimum tax due is $100. Signatures: Only Chairman, president or company officers are authorized to sign annual reports. Emailed or faxed signatures are accepted. Name of Tennessee Limited Liability Company must be distinguishable from the name of any existing entity, reserved or registered names. Company Express will research your company name to make sure it meets Tennessee’s standards. Required documents: Articles of Incorporation. If the LLC’s principal office is in Tennessee, a copy of the Articles of Organization must be filed with that county’s government. If the principal office is not in Tennessee, no county filing is required. LLC’s principal office may be located outside of the state, but local registered agent is required in Tennessee. Time to file: Tennessee requires LLCs to file an annual report and pay a franchise tax. The annual report is due on or before the first day of the fourth month following the close of the LLC’s fiscal year. The filing fee is $50 per member, with a minimum fee of $300 and a maximum fee of $3000. The franchise tax is due the 15th day of the fourth month following the close of your fiscal year. It is calculated based on the LLC’s net worth or real and tangible property in Tennessee. The minimum tax is $100.